Margaret Phillips, one of the country's leading players and teachers, shares her wealth of knowledge and experience on matters of technique, style, how to learn and practise music effectively, dealing with performance nerves and much more in this open playing day. 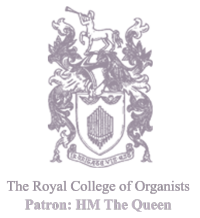 An added attraction is that the event takes place at the English Organ School where Margaret Phillips's extensive collection of organs and other keyboard instruments is housed. Scroll to the bottom of the page to book online. (longer pieces may be cut).